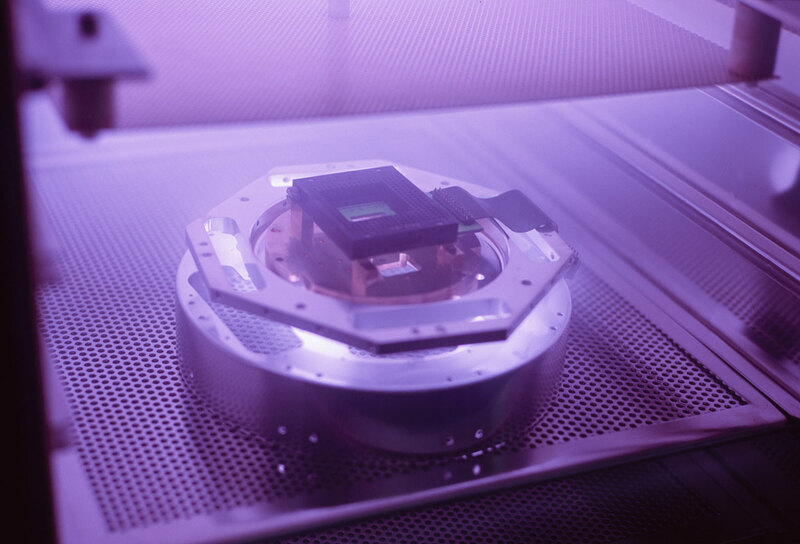 ESO Supernova Exhibition — What if the human eye isn't good enough? What if the human eye isn't good enough? The development of photography created a revolution in astronomy. But over the past decades electronic detectors have taken over. They ensure almost no single photon gets lost. 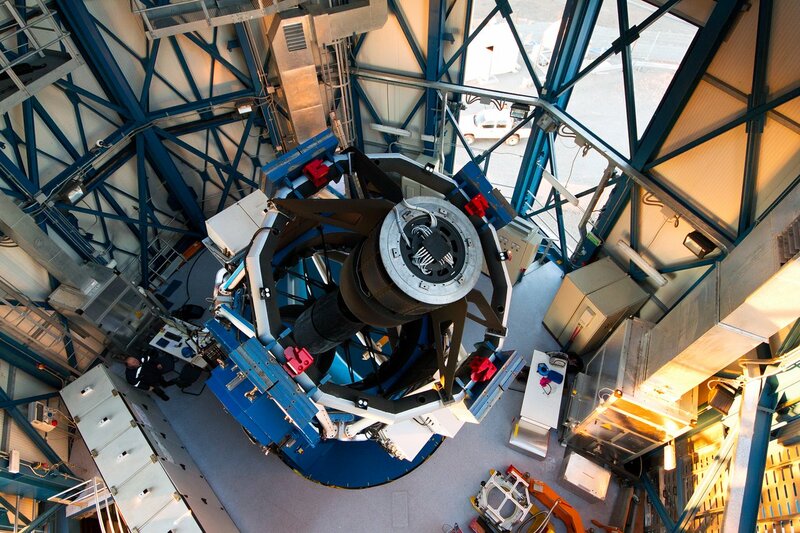 Big eye: With 256 million pixels, the 32-CCD OmegaCAM of ESO’s VLT Survey Telescope is one of the largest astronomical cameras in the world. Cosmic surveyor: Thanks to OmegaCAM, the 2.6-metre VLT Survey Telescope at Cerro Paranal in Chile combines great sensitivity with a large field of view. 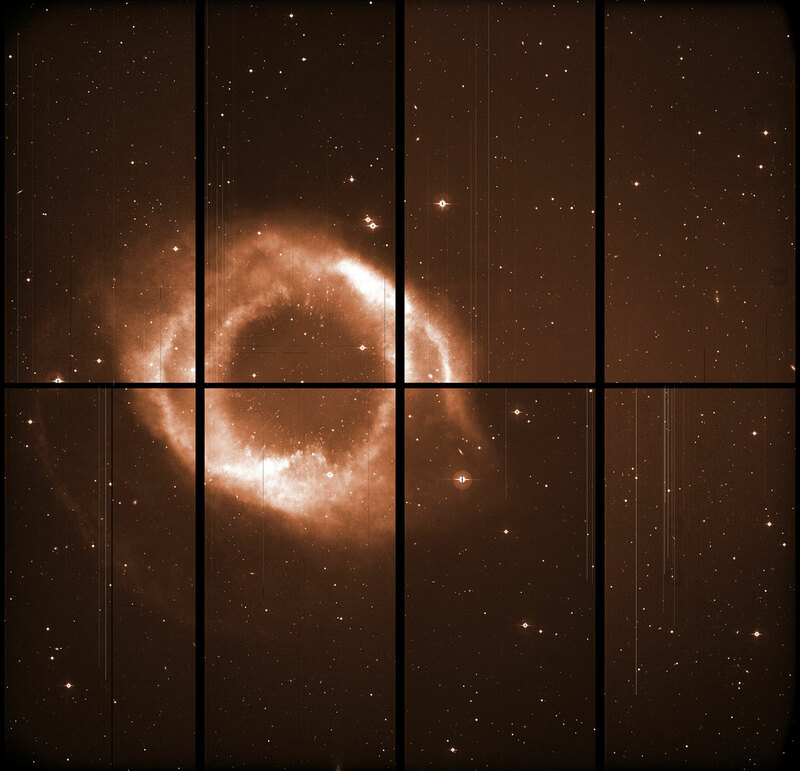 Raw beauty: This unprocessed image of the Helix Nebula, obtained with the Wide Field Imager at La Silla, still shows gaps between the camera’s 8 CCDs. The processed image can be found in section 4. For some three centuries after the invention of the telescope, all observations were done by eye and recorded in notebooks. From the end of the 19th century, photography became a powerful new tool for astronomers: photographic plates could collect light over a long exposure time and reveal much fainter objects. Moreover, photography was much more objective. 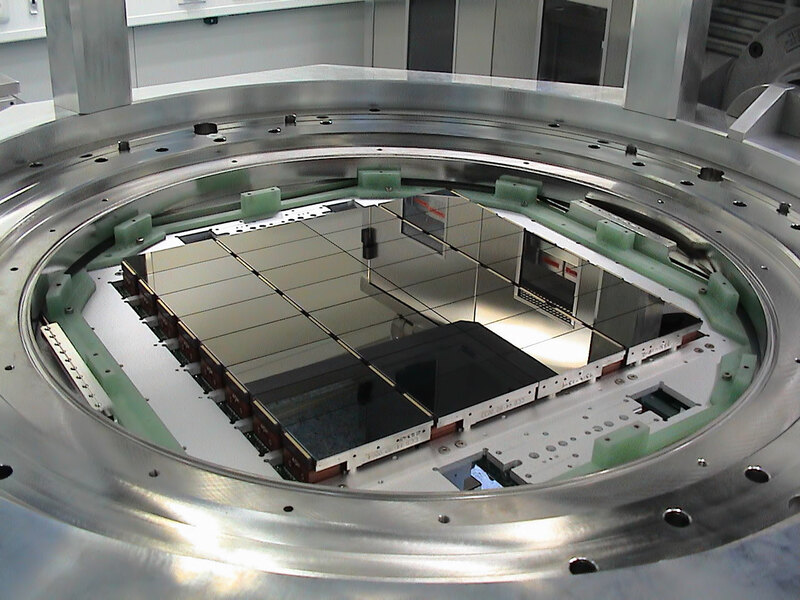 With the advent of charge-coupled devices (CCDs – the same detectors used in everyday digital cameras), astronomical detection techniques became more powerful than ever: CCDs are much more sensitive than the human eye. Venetian glass: The Doge of Venice peers through Galileo Galilei’s telescope. Until the early 20th century, visual observing was common practice. How well can you hear and see? A sensitive microphone can pick up sounds your ears can’t hear. In the same way, electronic detectors are much better at catching light than your own eyes.